A big advantage of a great intranet is an effective intranet document management system. Our SORCE document management application delivers all of the essentials you need to create store, share and archive your documentation. I thought it would be useful to highlight what I think are the top 5 essential elements of our document management application. If you would like to find out more about our SORCE intranet software, book a demo with our intranet experts. Most of us are used to browsing and finding documents within a folder structure in the same way as you would on your laptop. It's important to create a predefined top level folder structure that relates to the way your intranet audience thinks. In most cases this is by department but it can be by geographical location or by task. Your intranet document management should reflect this, delivering a folder structure that meets the needs of your staff. Doing so ensures your folder system is quick to navigate and documentation can be found easily. Sometimes it’s not appropriate for everyone to have access to all documentation and functionality. Our intranet document management application enables you to easily set permissions based upon department, pre-determined groups and individuals. You can also determine what readers can do with the document. Accessing documentation enables you to do several things. You can preview the document, download, favourite or subscribe to the author. 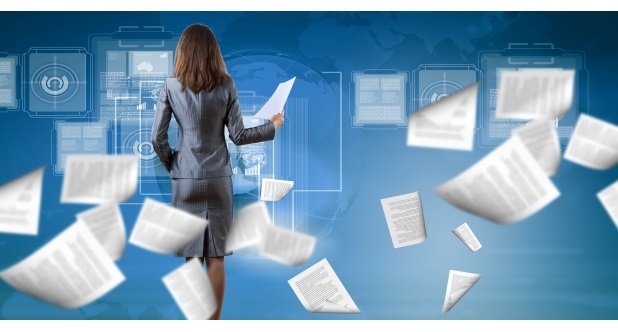 A common function of intranet document management is the ability to edit a document. Our document management application enables you to check out a document for editing and the check in an updated version. All previous versions are viewable and dates of edits and who edited the document are reported which is particularly important where an audit trail is needed. This enables co-ordinated editing and eliminates email reminders and version control. Providing the ability to subscribe to a document enables the end user to be kept up to date on an important document. Without this functionality it would be down to the individual to manually revisit the document or ask the author to let them know when it’s changed. With our SORCE intranet document management application, you can automatically be reminded when the document changes. Sometimes when creating a new document, it needs to be reviewed, edited and approved by a number of individuals. Our application enables you to set up the workflow when you create the document, specifying who needs to approve it before publishing. You can also see who has and hasn’t approved it and any comments they have made. This is a great feature as it eliminates a chain of emails and enables the workflow to be co-ordinated centrally. I hope you have found this summary of intranet document management useful. If you would like to find out more about SORCE’s intranet software, book a demo.